Now your favourite West Ham United podcast ‘Stop! Hammer Time‘ has an Android app to match our iPhone app. Not only does the Stop! 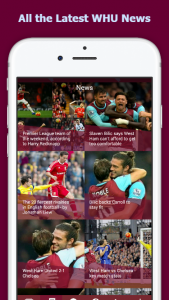 Hammer Time app bring you Phil, Jim and guests (including Ray Winstone, Nick Frost, Phill Jupitus, Kriss Akabusi and West Ham United legends such as Frank McAvennie) on the podcast before you can get it anywhere else, it also keeps you up to date with the latest West Ham breaking news from the BBC, The Guardian and more.